People tend to come to Islay for one of two reasons - wildlife or whiskey - for this wild and remote island on the west coast of Scotland is home to 8 distilleries and over 100 species of birds. Yet there is more to Islay than peat and birds. An utterly beautiful island that is steeped in history, it is the ideal destination for a romantic getaway: whether you're exploring the haunting ruins of abandoned villages, hiking past ancient lochs in the shadow of dark, stony mountains or watching the evening bleed across the unpolluted sky while lounging at one of her dozen beaches, this is an undeniably beautiful spot. Marry that with whiskey, rare species of birds, ruined castles and diving amongst shipwrecks, and you've got yourself Islay. The best places to stay in Islay range from quaint B&Bs to luxury rural escapes. Far from the green and pleasant land of the Yorkshire Dales or the Cotswolds, Islay's beauty has a darker, earthier edge to it. It's grey crags and gloomy mountains have an untamed and raw feel to them and its grass is ruggedly-green, it's soil peaty and dark, making it ideal for the production of whiskey. There is an abundance of peat on the island, the water is as soft as satin and it has an ability to produce a huge amount of barley, creating the famous blend of Islay Single Malt Whiskey. The distilleries are internationally-renowned and include Laphroaig, Lagavulin and Ardbeg, all of which are worth visiting. Islay's population peaked in 1841 at 15,772 people. Since then it has declined to 3,457, owing in part to the clearances of the 19th-century and the subsequent emigration of large numbers of rural folk to major urban centres. As such, while walking through the beautiful isle, you will come across countless abandoned villages and dilapidated stony-faced farmsteads. The major settlements lie on the coast, like Port Ellen - a collection of picturesque cream-white cottages - and Port Charlotte, arguably the most beautiful village on the island, whose museum offers a fascinating insight into the island's history. Bridgend is straddled by incredibly scenic woodland that lines a river and is a lovely spot for an afternoon stroll; on the outskirts is the Islay Woolen Mill, well worth checking out if you like handcrafts. Persabus Pottery in Port Askaig is also worth visiting. The sheer scale of wildlife on this little island is extraordinary. With over 100 species of birds, it is a birdwatcher's paradise. A particular highlight is the presence of thousands of Greenland Geese that make their home in Loch Gruinart. As for history, you are spoilt for choice: get yourself to Loch Finlaggan, once the home of the Lords of the Isles, where clutches of ruined buildings stand on islands in the middle of the loch. Kilnave Church should also be high on your priority list, an ancient church baring even more ancient tombstones and crosses, including an 8th-century Celtic cross. The Dunyvaig Castle ruin that looks out onto the Lagavulin distillery is also fascinating to visit. Taste the world's best whiskey at one of the eight distilleries on the island, whether at Laphroaig, Lagavulin or Ardbeg! Go birdwatching at Loch Gruinart and see the Greenland Geese make their home. 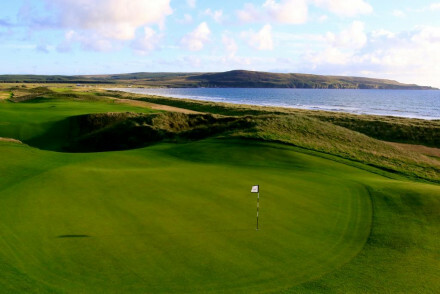 Head over to the golf course at Machrie! Get yourself to Loch Finlaggan, once home to the Lords of the Isles - the MacDonalds - and see the ruins of their former home. Visit Kilnave Church and marvel at the 8th-century Celtic cross. Immerse yourself in the island's past at the Islay Museum, in Port Charlotte. During the summer months, this is a popular destination so to ensure a room at one of the best places to stay in Islay we recommend booking well in advance. Glenegeale House: a short step from the beach, decorated with tartan and serving afternoon tea, this lovely boutique B&B oozes with old-world charm and sophistication. Perfect for couples looking for an authentic, intimate stay. Kilmeny Country House: full of charm and Highland hospitality, this beautiful B&B offers traditional and cosy rooms. Guests can enjoy a complimentary nightcap of a "wee dram" before bed, and slices of homemade cake throughout. Home-comforts at its finest. Islay House: perfect for an indulgent romantic break, this hotel is one of the oldest buildings on the island. A magnificent country house, offering everything from fishing trips and horse rides to whiskey tasting sessions. The restaurant serves sumptous meals and the bar has an incredible variety of whiskey. Check if our partner Booking.com has any cottages or apartments in the nearby area. There is an airport on the island that runs flights to Glasgow Airport. There is also a car ferry that goes from Kennacraig on the mainland. The best time to go is during the summer, which tends to be windy and quite cool, the temperature rarely falling below 10 or going above 17 degrees. Expand your search to include our pick of Scotland's most romantic hotels. Browse through properties throughout the 'Highlands and islands'. Just a short step from the beach, Glenegeale House is a delightful boutique B&B. Featuring four charming rooms that boast comfortable beds and tartan decor. 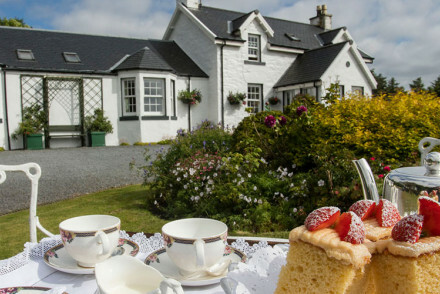 Enjoy delicious afternoon teas after a day of exploring the unique charms of Islay. Great walks - Walk down to coast and along some of Islay's beautiful beaches. Kayaking - Sea kayaking trips can be organised by the B&B. A chic property set in the dramatic landscapes of Islay. A recent renovation is a complete triumph with scandi-chic interiors offering light open spaces and maximising the epic views from large expanses of glass. Tee-off on the property's own golf course or simply unwind in the spa. A charming B&B offering Scottish hospitality at its best. Traditionally dressed rooms are cosy yet luxurious. Guests are welcomed with indulgent slices of home made cake and given a complimentary dram of whiskey before bed. Remote and quiet, ideal for a truly relaxing break. 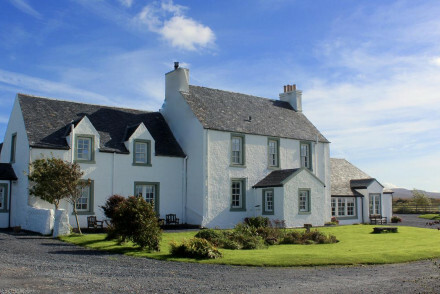 Country Escape - A quintessentailly Scottish country house set in acres of beautiful farmland. Sailing - Take a boat trip around the island and enjoy the spectacular views. Great walks - Take long walks through the rugged countryside. 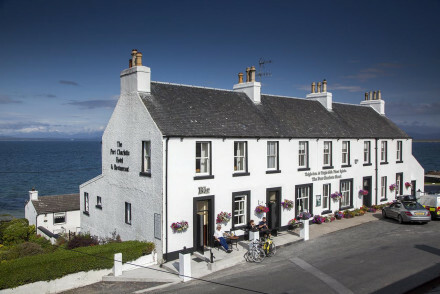 Perched up high overlooking Loch Indaal, Port Charlotte Hotel has more than just a fantastic location going for it. The highland themed rooms are smart and comfortable. Downstairs the restaurant serves sumptuous food from a menu based around local Islay produce. 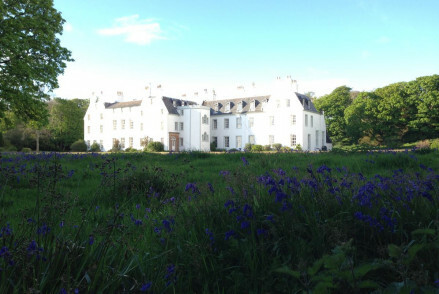 One of the oldest properties on the island, Islay House is a spectacular hotel. Four poster beds and antique furnishings are hallmarks of its charming rooms. The stunning staircase will lead you down to a superb restaurant as well as the bar that reflects the island's rich whisky heritage. Great walks - There are lots of wonderful walking routes all over the island. Fishing - Islay House can organise bespoke fishing trips for guests.